VorBlade is the only vortex generator created solely for motor vehicles. 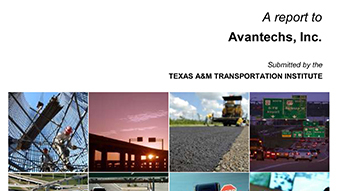 It is developed to specifically address highway conditions and speeds. VorBlades effectively work at any angle, their turbines force the air to create stable precise scaled vortexes and channel them into truck and trailer’s drag zones. Small-scale vortex generators (SSVG) has been successfully deployed in aircraft technologies over the last 80 years and aerospace-designed SSVG are also used on motor vehicles. However, designed for high-speed airplanes generators, triangular, wishbone and others, are open on the top and the sides. At highway speeds incoming airflow just bypasses them as small obstacles thus they generate low-intensity short-living vortices which are inefficient for large vehicles. Only VorBladeTM SSVG is specifically developed for large vehicles and highway conditions to address the highway driving speed (60 mph vs airplane’s 500 mph), bluff large-size backsides of semi-trucks & trailers, box trucks, flatbeds and RVs, and inability of motor vehicles to adapt to cross winds – truck cannot lean or “dog-tail” like an airplane. VorBladeTM is the only SSVG designed with the funnel-type inlet to catch airflow incoming at any angle that may occur in strong, light or no crosswinds and “trap” the air in the enclosed channel which no other generator has. The trapped air cannot evade unique vortex-producing elements, turbine-like blades, which rigorously spin the airflow and generate uniquely long, well over 10 ft, and very strong small-size vortices. Such long vortices are crucial for affecting air drag-producing low-pressure zones (LPZ) behind and leeward trailers, box trucks, buses and RVs which may reach 15 ft or more at strong crosswinds. The vortices go directly towards the drag-generating LPZ at any winds and create 10+ ft-long invisible aerodynamic shield around it. The airflow-streamlining shield reduces greatly size of LPZ and compensates the low pressure thus reducing greatly the air drag and saving fuel. VorBlade vortex generators reduce spray of dirt particles on the backside and improve a mirror visibility by preventing mud, rain and snow particles from spraying to the mirror height.